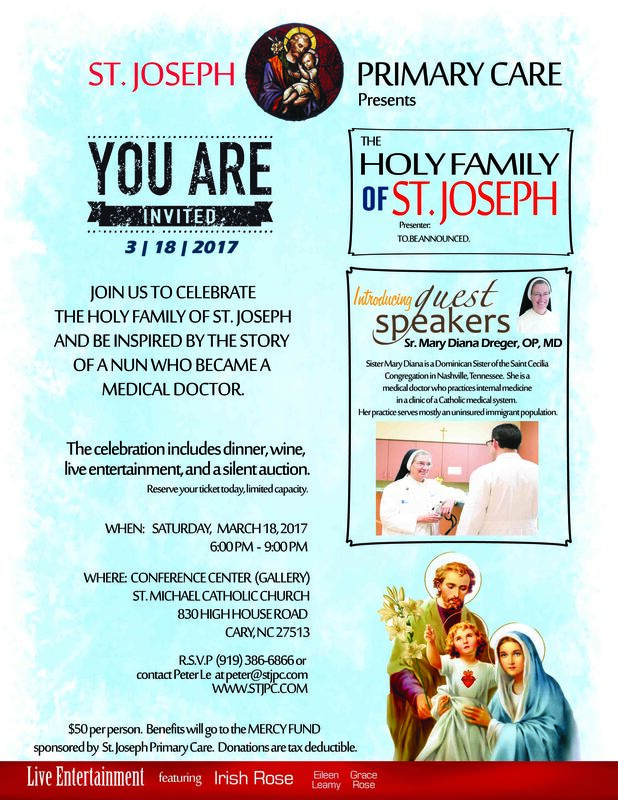 On the vigil of the Feast of Saint Joseph, Sat, Mar 18, Saint Joseph Primary Care invites you and your family to join them in celebration. 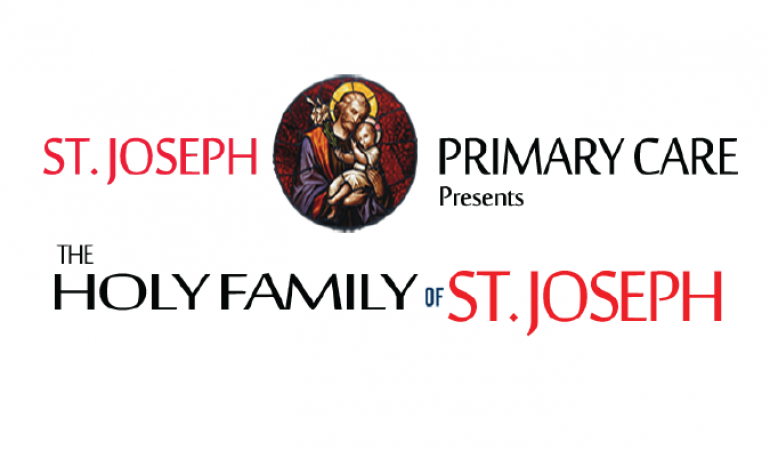 Come and learn more about the Holy Family of Saint Joseph from Fr. Phil Tighe. Get inspired by guest speaker Sister Mary Dreger, OP, MD as she shares the story of a nun who became a medical doctor. The celebration includes dinner, wine, beverages, silent auction, and live entertainment. The event will be held in the Saint Michael Conference Center at St. Michael Catholic Church in Cary, NC from 6-9 pm. Cost is $50 per person (kids free). Proceeds will go to the MERCY FUND to care for the poor and sick. Donations are tax deductible. It’s not too late, so reserve your ticket today. RSVP to (919)386-6866 or via email to Peter Le at peter@stjpc.com. St. Joseph Primary Care is an IBT Vendor/Ministry. Find out more about St. Joseph Primary Care by visiting IBT’s Spotlight on Vendors & Ministries post or by visiting their website.